Interpretations, Vol. 1: In August of 2016, the band released a collection of pop interpretations (not covers) that they recorded during 2015-2016 while working in the studio on a new, all-original, concept album. This CD includes interpretations of Kryptonite (3 Doors Down), Baba O'Riley / Let My Love Open the Door (The Who / Pete Townshend), Invincible (Pat Benatar), Come to Me (Goo Goo Dolls), Enter Sandman (Metallica), and Missed the Boat (Modest Mouse). 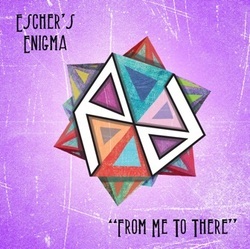 Please feel free to visit Escher's Enigma's YouTube site, as well as their SoundCloud site to preview some of these songs. Enjoy the songs and feel free to contact the band via their Facebook page or Twitter feed. Award: The Akademia awarded "Interpretations, Vol. 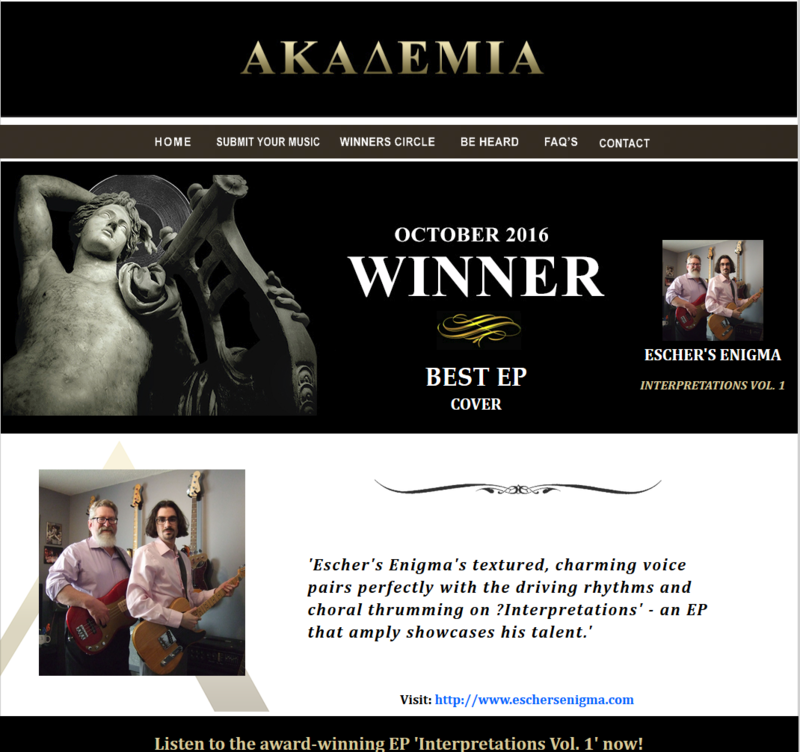 1" Best EP in the Cover Category, October, 2016. 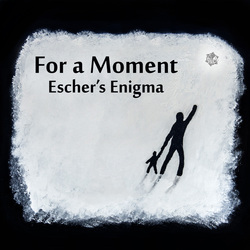 "For a Moment" received unanimous praise from music critics, including a rating of 10 out of 10 stars from Gashouse Radio, Gig Band Music, and Vents Magazine. Gashouse Radio says "It's eye-opening to find two musicians so sympathetic to each other's aims and willing to craft such distinctly unique music ... one cannot help to admire their skill." 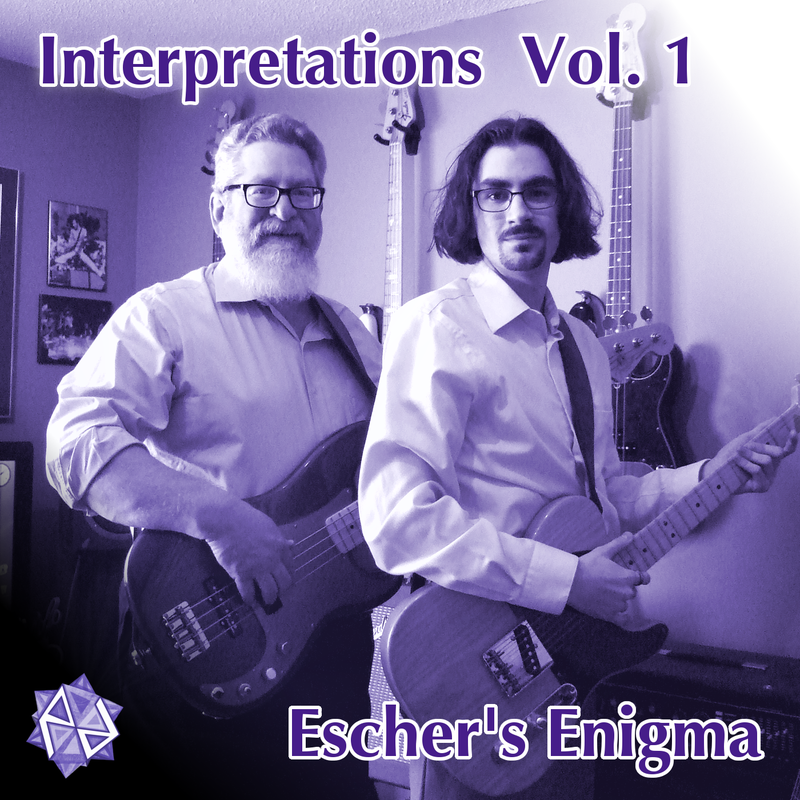 Gig Band Music says "If someone doubted the presence of brave and creative musicians in this era, Escher's Enigma exists as a strong rebuke to that fear. For a Moment is a reminder of what music still can be, not what we have lost." Vents Magazine says "It’s refreshing to hear music that is willing to engage, entertain, and provoke listeners. There is a tremendous amount of reflection on this album, introspective lyrical content and pensive arrangements, but the Millers are equally eager for their listeners to relate these songs to their own experiences. The music and presentation is intimate, but never insular." Awards for "For a Moment"
The Akademia: Best Song in Pop Rock / Country Category for "When Your Heart." The Akademia: Best Song in the Cover / Rock Category for our interpretation of "Sweet Child O' Mine." Reviews for "For a Moment"
Piece of Mind: The March 2014 EP "Piece of Mind" frames thoughts of friends and family in a rock context. This EP contains 5 original songs that bring back the glory days of arena rock, while presenting songs of this genre with a clean, modern production. This high-energy CD is perfect for a nice drive down the highway or for rocking out at the end of a long day. "Piece of Mind" is a collaborative project. Both musicians participated in the writing of four original songs, as well as the interpretation of one cover. Brian Miller handled the guitars, vocals, midi programming and most of the keyboards, while Russ played the bass guitar. The piano on “Keep Reaching” was contributed by Michael Murphy. Brian took the lead in the mixing and mastering of this EP. 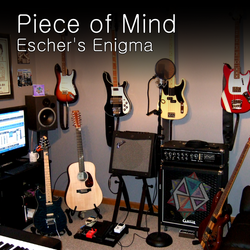 "Piece of Mind" received unanimous praise from music critics, including Music Emissions: "This is one of the most original sounding bands I've heard in quite some time...It's a ripe musical invitation into the world of a red hot band from the East coast...This outlier style of music is not only mastered by the Miller father/son dream team, it also deserves a much wider and attentive audience, to say the least." Reviews for "Piece of Mind"